The Electronic Prescription Service (EPS) allows GP surgeries to automatically send your prescription directly to a pharmacy of your choosing. 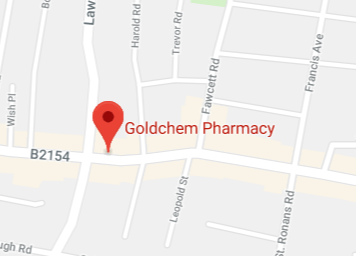 By nominating Goldchem Pharmacy as you designated pharmacy, using form below, we will arrange for your GP to automatically send your prescription to us. We will have your medications ready for pick-up at your convenience or, if appropriate, delivered to you free of charge.